The HDC-TM700 uses the progressive method to record twice as much image data as the interlace method. Whereas interlacing requires two images to produce a complete picture, the progressive method records a single image as a complete picture. 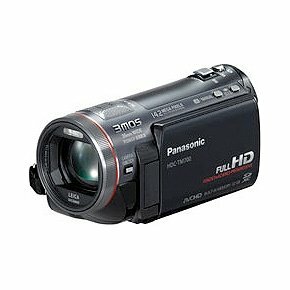 Plus, the 60 progressive recording of the HDC-TM700 produces 60 images per second. This extremely dense image information creates intricate detail and silky smooth motion. Even when subjects move quickly, afterimages are minimized to create more natural images.Panasonic HD camcorders use Leica Dicomar lenses, which are renowned for their ability to render sharp images and excellent shading. They also suppress ghosting, flare, and distortion at the image edges. Even in strong sunlight, these superb lenses maintain high contrast and resolution. A bright F1.5-F2.8 lens with a 46mm filter diameter has been created for the HDC-TM700. Efficient light collection allows the lens to capture bright, clear images even in dim lighting or at high shutter speeds. This high-end lens brings out all the beauty of Full-HD images.